Small businesses make Australia tick. They’ve even been called ‘the engine room of the nation’s economy’, which is no surprise when you figure there are more than 3.3 million of them, employing more than 5.7 million people. 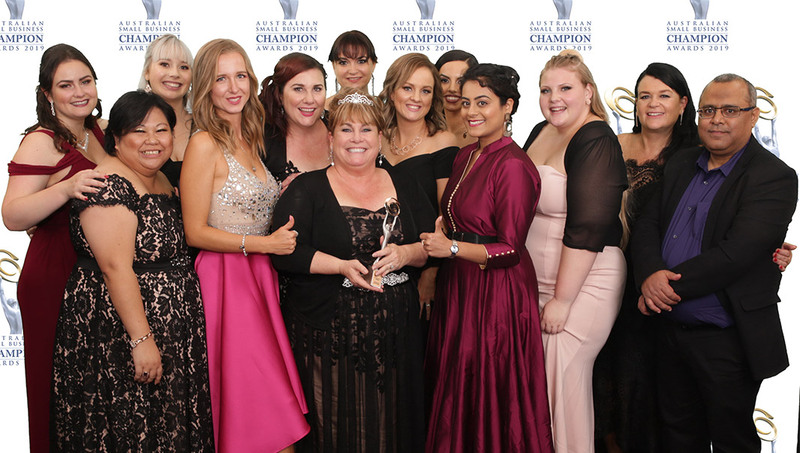 One small Canberra business—face2face Recruitment—has just won a national award for their stellar performance, at the ‘Oscars of Small Business’ held in Sydney on 6 April. It was no mean feat given that more than 2,200 applications were received for the Australian Small Business Champion Awards this year, a record number. Founder and Managing Director of face2face, Kate Prior, said winning the national award for Recruitment Services is amazing for Canberra, amazing for all ‘champion finalists’, and amazing for her 20-member team who work hard every day finding employers great candidates and candidates great job opportunities. Sixteen Canberra businesses placed finalist in various categories at this year’s awards, which Precedent Productions has been running for 21 years. face2face is the only ACT business to place finalist in four categories—Business Entrepreneur, Business of the Decade, Business Growth Award and Recruitment Services. It’s also the only ACT Business to win at national level. Kate founded her business determined to provide exemplary face-to-face communications—so much so she named the company accordingly. Even though face2face is now the largest privately owned business in the recruitment sector in the capital, success hasn’t always come easy. At more than one juncture, Kate has had to dig deep for the will to continue, when external circumstances beyond her control severely affected her business. The quadruple whammy caused face-to-face to lose more than 50 per cent of its business in a matter of months. Today face2face has three specialised business units—ICT, Business Support and Scribing. Giving back to the community that gives so much to them, is a huge priority at face2face. Kate’s book, Resume Success Secrets, which shot to be #1 Amazon Best Seller in its category within two days of being published, is one way the company gives back. face2face has donated copies to local and regional libraries and 600 copies to organisations such as Communities at Work and Carers Act. face2face also periodically holds free workshops for specific job seeker markets, like mature-age workers, return-to-work mums and dads and Indigenous candidates. Kate recommends that any job seeker consider using a recruitment agency for the many benefits it brings. Kate can’t imagine not owning her own business. She says opening a small business isn’t for everyone but it can be incredibly rewarding for those who have sheer determination, the ability to think innovatively and the willingness to work hard, especially when the going gets tough. For your recruitment needs check out face2face Recruitment.